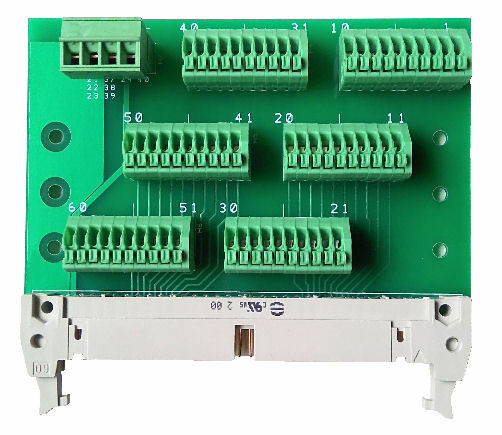 This adapter board helps convert your ribbon cables IDC connector to individual wire terminal connection. The wire output is inserted via the spring release terminal connector. Simply push the lever with a sharp tool (for example a screwdriver), insert your wire and then release the lever. Quick and simply for individual pin wire connection. 60 pins IDC Connector with a quick connector release lever. 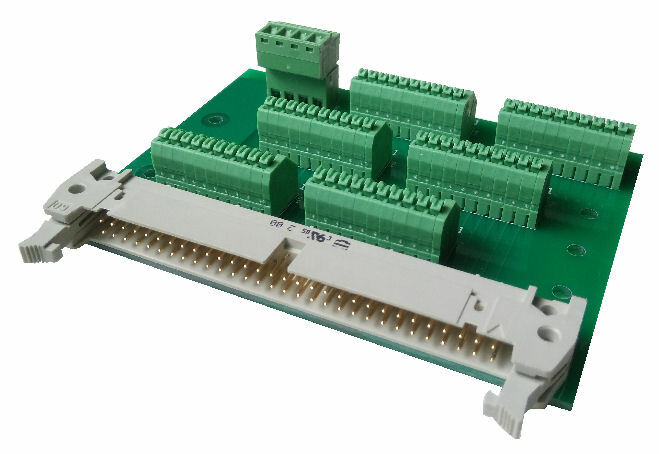 6 blocks of 10 pins Spring-cage wire connectors. 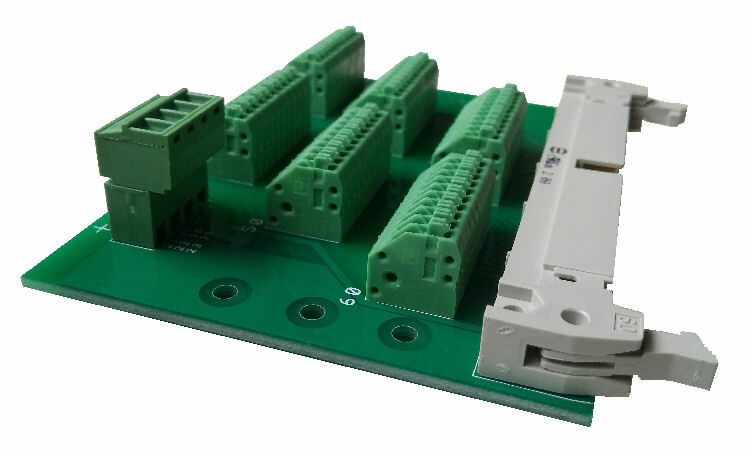 Design for DIN rail bracket mounting. 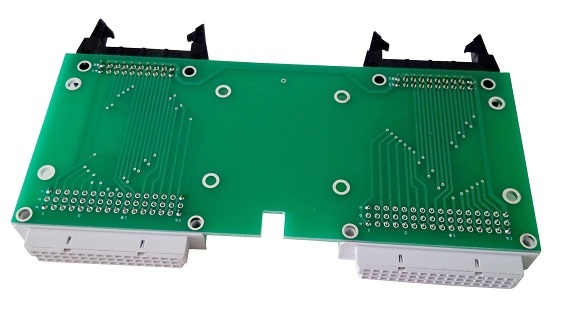 For other custom PCB board design for connector conversion adapter board, please provide us with further details. 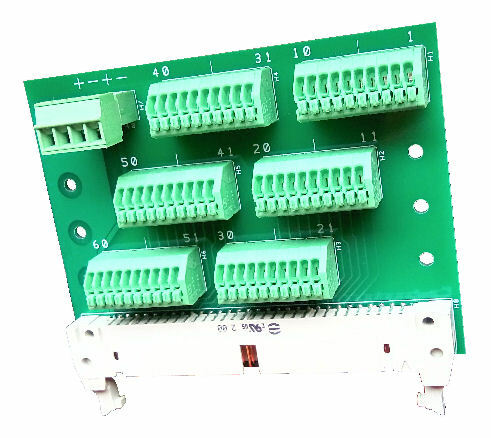 Contact PIC-CONTROL for Custom Connector Converter DIN rail mounted adapter board.